We go on Awesome camps! 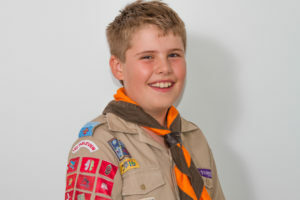 We spoke to Josh Breetzke (9) from the 1st Tableview Cub Pack in the Western Cape. I think Cubbing is so much fun because we do a lot of fun activities like the games Helicopter and River – Bank. 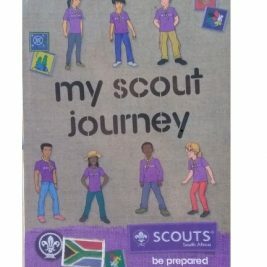 My best experience with Cubs is doing a glue hunt at our spy training Cub camp and getting the Akela Debby Chapman’s Cub Shield! At Cubs there aren’t really tough challenges we just have a whole lot of fun! The most amazing place we visited was at the Cub Camp at the Hawequas Campsite at a mountain with a very beautiful waterfall. I have learnt how to tie a knot, fry a Vienna with a pringle tube and braai popcorn! We did the slipper project to support the Reach for a Dream Foundation and we donated food and groceries to Table View Angels, who help people that struggle in the community. I taught my mum how to fry a Vienna with a pringle tube. A good Akela has to live her life by the Cub law, care for all the Cubs and plan fun activities. My Akela is special because she does a lot of fun activities with our Pack. We go on awesome camps, do fun activities and learn a lot! We told our community to Respect each other!